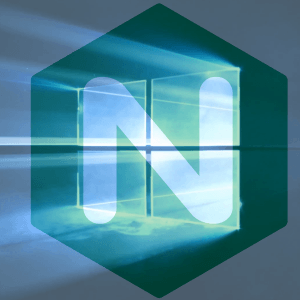 Nginx 1.15.2 32-bit and 64-bit builds for Windows are now available for free download.
) Feature: the $ssl_preread_protocol variable in the ngx_stream_ssl_preread_module.
) Feature: now when using the “reset_timedout_connection” directive nginx will reset connections being closed with the 444 code.
) Change: a logging level of the “http request”, “https proxy request”, “unsupported protocol”, and “version too low” SSL errors has been lowered from “crit” to “info”.
) Bugfix: DNS requests were not resent if initial sending of a request failed.
) Bugfix: the “reuseport” parameter of the “listen” directive was ignored if the number of worker processes was specified after the “listen” directive.
) Bugfix: when using OpenSSL 1.1.0 or newer it was not possible to switch off “ssl_prefer_server_ciphers” in a virtual server if it was switched on in the default server.
) Bugfix: SSL session reuse with upstream servers did not work with the TLS 1.3 protocol. Consequently, you may Download Nginx 1.15.2 for Windows (32-bit & 64-bit versions) here.